This flight marks a crucial "trial by fire" test of the launch and reentry systems, ensuring that the capsule environment remains safe for astronauts during each phase of the flight. 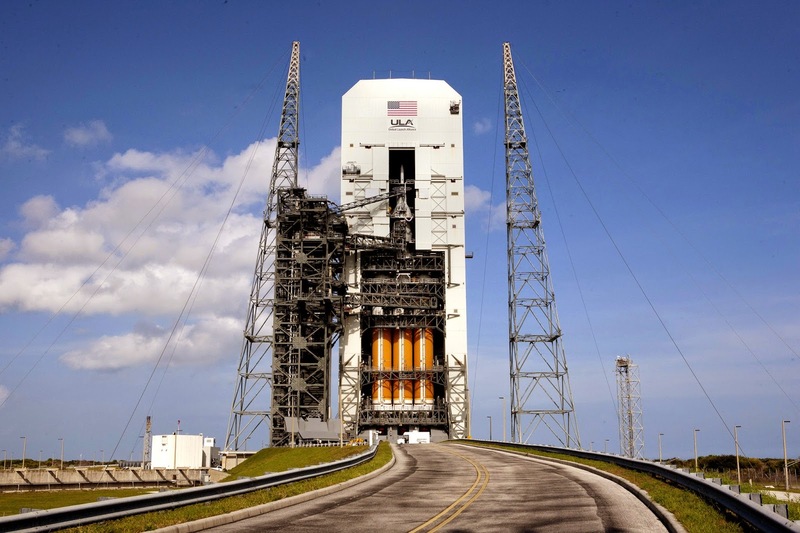 "Really, we're going to test the riskiest parts of the mission," says Mark Geyer, Orion program manager. "Ascent, entry and things like fairing separations, Launch Abort System jettison, the parachutes plus the navigation and guidance – all those things are going to be tested. Plus we’ll fly into deep space and test the radiation effects on those systems." Strong solar radiation is dangerous for astronauts on deep space missions. Orion will pass through the lower Van Allen radiation belt twice during its flight and will keep careful record of the radiation dosage inside the cabin. This data will help engineers adapt Orion for human journeys beyond the Moon where the radiation levels are even more extreme. 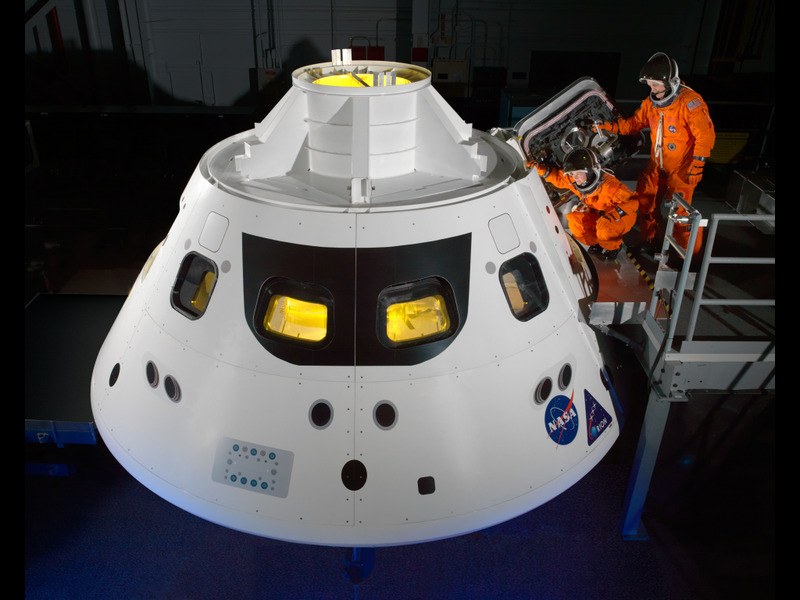 The Apollo-inspired crew module is a marked departure from NASA's last manned spacecraft, the space shuttle. Orion will not only ferry astronauts back to the International Space Station in low Earth orbit, but also beyond the Moon, if all goes according to plan. Traveling farther out in space means higher speeds and temperatures upon reentry than the shuttle ever had to withstand, and the cone shape is ideal for shielding the capsule interior. Like the Apollo crew module, Orion will reenter Earth's atmosphere blunt end first with a newly redesigned heat shield — the largest ever built – reaching temperatures of 4,000 degrees Fahrenheit. Parachutes will break the capsule's descent from a blistering 20,000 miles per hour to a gentle 20 miles per hour before touching down in the Pacific Ocean 4.5 hours after lift off. The conical capsule may look familiar but the interior of Orion is completely new. While the Apollo capsule carried only three astronauts, Orion has 50 percent more habitable volume and can carry up to six astronauts on short journeys and four astronauts on three week journeys. 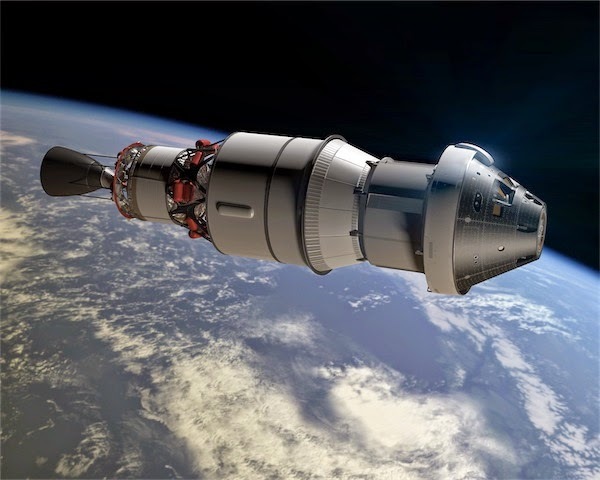 Engineers have also designed the Orion capsule to be partly reusable, cutting the cost of each subsequent mission. 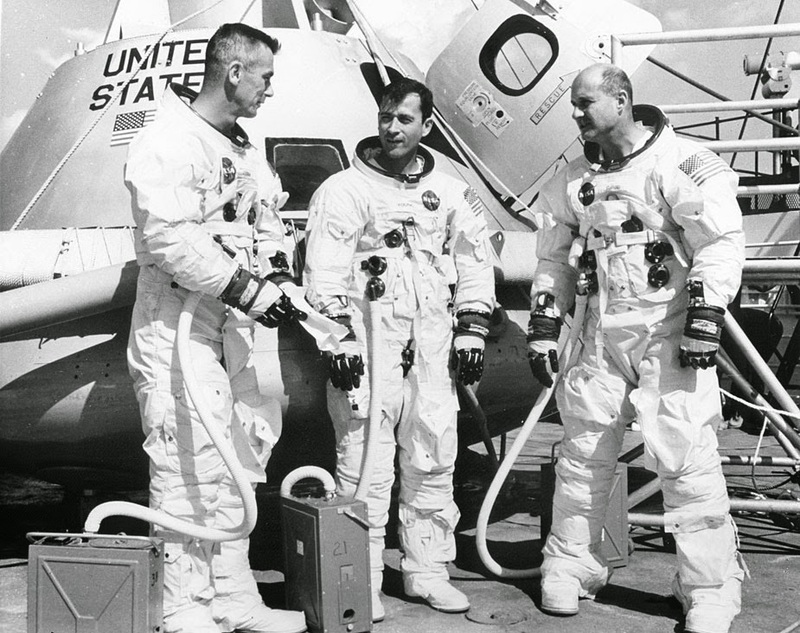 Apollo 7 back-up crew in front of the Apollo crew module in August 1968. Thursday's launch is just the beginning. NASA plans to launch future missions aboard a brand-new rocket known as the Space Launch System or SLS. SLS will be the most powerful rocket ever built, with the capability of carrying humans to nearby asteroids and on to the surface of Mars. The first unmanned flight of the new rocket is planned for 2018, with the first crewed mission in 2021. 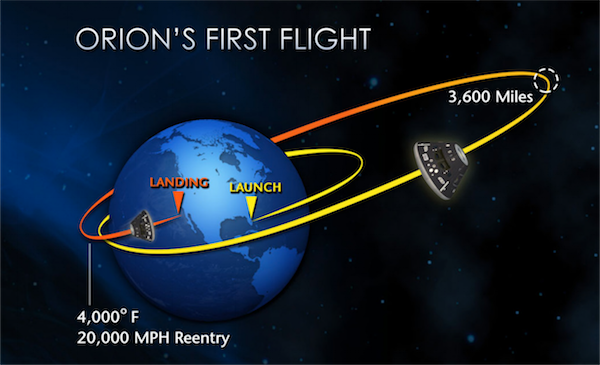 To get a sense of what Orion's journey will be like this Thursday, check out NASA's 'Trial By Fire' video below. Don't forget to tune in Thursday morning to follow the flight live! That's awesome! NASA really do cool stuffs! I have seen awesome pictures of universe at http://goo.gl/2Nehvu. Sure thing they're from NASA.